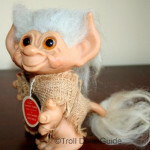 Some the most popular trolls for collectors are the vintage Dam animal trolls. These animal trolls can be quite cute or ugly depending on your opinion. These animal trolls were made in the 1960′s. The vintage Dam animals can sell for large amounts of money on Ebay. Some of the hardest to find are the monkey and the spotted cow. As with any other troll, the condition of the troll is very important. Cut hair or marks on the animal troll can bring down the value. 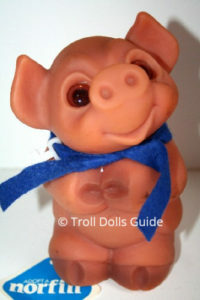 There are also some adorable Norfin animal trolls.These are Dam troll dolls were just sold under a different name. 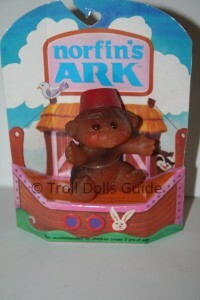 I have included the Norfin Dam Animal trolls in this section. 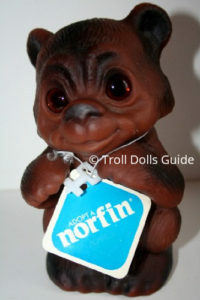 You can read more about the Norfin trolls name on that page. Click on the photos below to access additional details about each troll.